A MESSY but tumultuous tussle at Twickenham in torrential rain saw England rack up their widest winning margin as they defeated the Wallabies on Saturday. It was also England’s fifth win on the bounce against Australia and keeps Eddie Jones’s team ranked number two in the world. An unlucky Sam Underhill was injured in the 15th minute, but the crowd greeted replacement Maro Itoje with a roar. 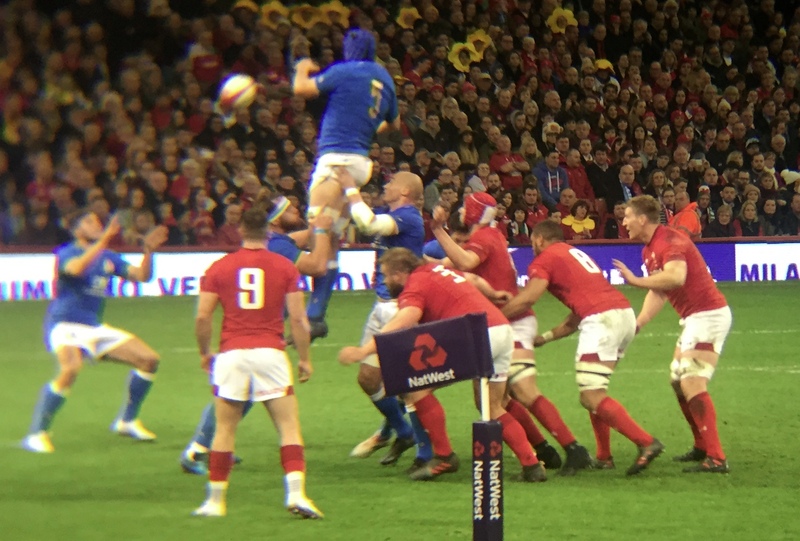 The talismanic Itoje was immediately in the thick of the action as he stole an attacking Wallaby line out, snuffing out the threat. Winger Jonny May gifted Bernard Foley a chance to level the scores at three points apiece when he was caught running out of his own 22. But Foley shanked his kick and then moments later a Michael Hooper try was disallowed by the television match official (TMO) for a clear offside. The rain was torrential from the kick-off and both sides made understandable handling errors. But this was fierce Test match rugby between the number two and three rated sides in the world. 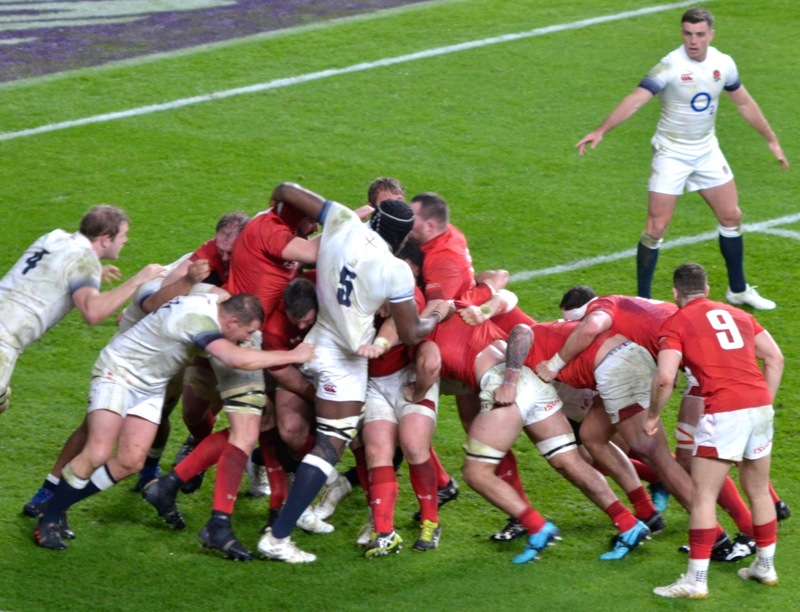 England’s pack tried to force their way over the Wallaby try line. But with the penalty count rising as the desperate men in gold fought to stop a try, Hooper strayed offside. Referee Ben O’Keeffe sent the Aussie skipper to the sin bin — making him the most yellow-carded player in Test history. 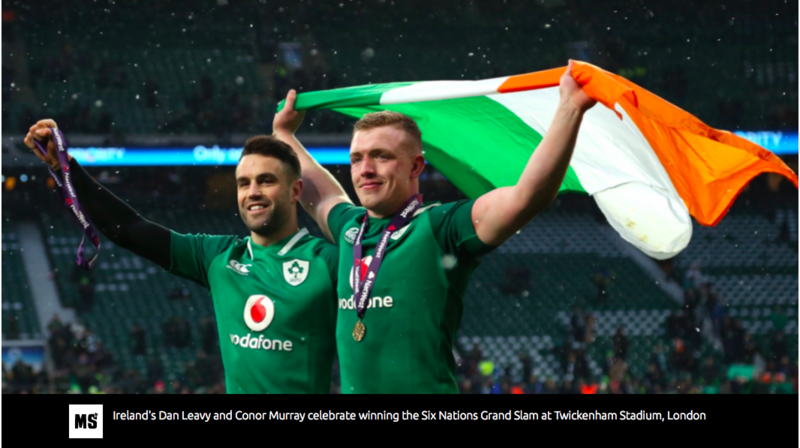 What was contentious was O’Keeffe’s failure to award a penalty try, meaning England only gained three points from their period of pressure. With coach Michael Cheika doing a passable imitation of the Incredible Hulk, Kurtley Beale joined Hooper in the sin bin after he was penalised for a deliberate knock-on to stop a pass getting to Jonathan Joseph. The second player in the bin meant the Wallabies played for some 18 minutes with 14 men and for two minutes with 13. But their resolve and steel meant that England only managed to score three points and conceded the same themselves. No sooner were Australia back to full strength they conceded the first try. Elliot Daly chased down a punt out from scrum-half Ben Youngs and with deft footwork kept the ball in play and touched down for a crucial try. Australia then had a second try turned down by the TMO and had their hearts broken as England scored three tries in the final eight minutes. The impressive replacement scrum-half Danny Care spotted the Wallabies’ defensive weakness to kicks behind them and set-up tries for speedsters Joseph and May. Just to rub salt into Australian wounds, Care darted over for a try of his own in the closing seconds to stretch the score to a record-winning margin for the home side. Both coaches played down the significance of the referee’s decisions after the game with Jones claiming England had trained to be stronger over the final 20 minutes. “We had the confidence that we knew we would finish stronger than Australia. We trained to hit that final 20 minutes hard. “It was an arm wrestle and you had to take opportunities when they come. We read the conditions better,” Jones added. Cheika was asked by the Morning Star about why he had stormed down to pitch side after the second yellow card. 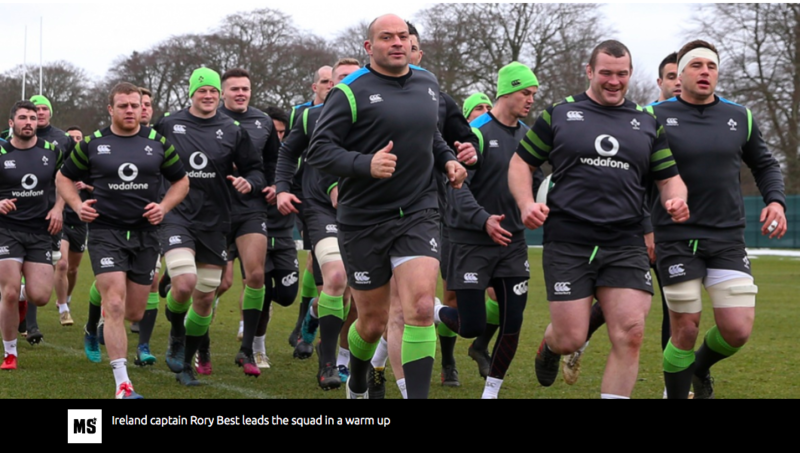 Australia head to Scotland to face a resurgent side who came close to beating the All Blacks. Meanwhile, England face Samoa next weekend with Eddie Jones promising wholesale changes, or no changes at all.